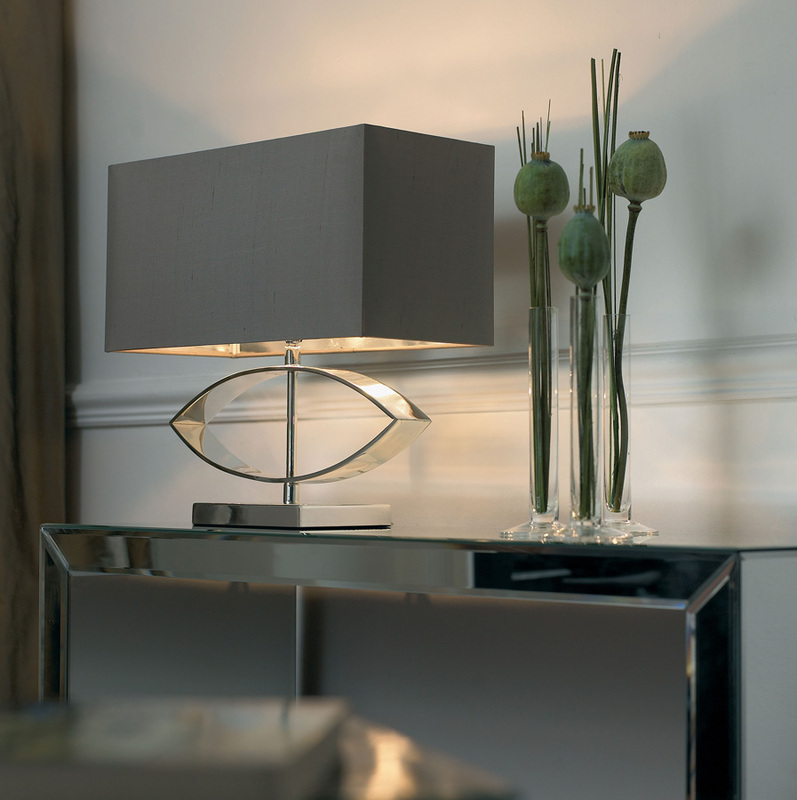 The Tramini modern silver plated table lamp from the Envisage premium lighting range. 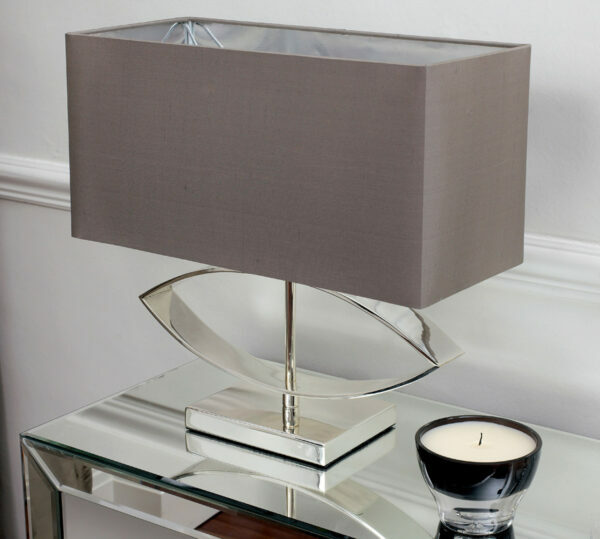 Modern design table lamp, with a rectangular silver plated base and slender central stem that has elliptical metalwork detail topped with a rectangular taupe silk shade. The shade has a metallic silver lining to create a spectacular effect when lit. 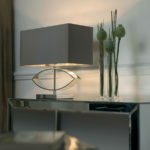 A wonderful eye catching table lamp in silver plate, styled in a symbolic design, with a contrasting taupe silk shade. Stylish modern living with this trendy taupe silk table lamp.